What's better than wine and helping cats? Nothing! 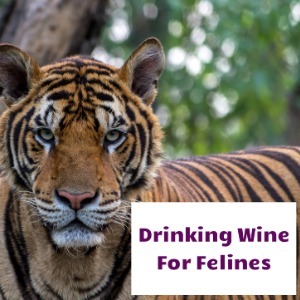 Let's get together and drink wine while helping our feline friends! Did you know that PETA's campaigns help cats of all kinds? 1. PETA spays and neuters companion animals at low to no cost for people who may not be able to provide these services for their companion animals. Their goal is to end the homelessness crisis at the root of the problem: unwanted births! 2. PETA has worked tirelessly over the years to convince circuses to end their cruel animal acts, including those with big cats, and to encourage people to NEVER attend circuses with animal acts. 3. Big cats are often the main attraction of cruel roadside zoos. PETA works to shut down these roadside zoos by reporting animal welfare act violations to the USDA and informing the public about ways they can help shut down these establishments. Now for the wine part! Please give a suggested donation to this page in support of PETA's campaigns to help felines everywhere. Then meet at Downtown Wine Bar every Wednesday at 7 PM for wine and discussion about ways we can help cats in our community and around the world! We will pick up the bill for your first glass, so you can donate. It's our way of saying thank you for supporting PETA's lifesaving work. We hope to see you there! Cheers!